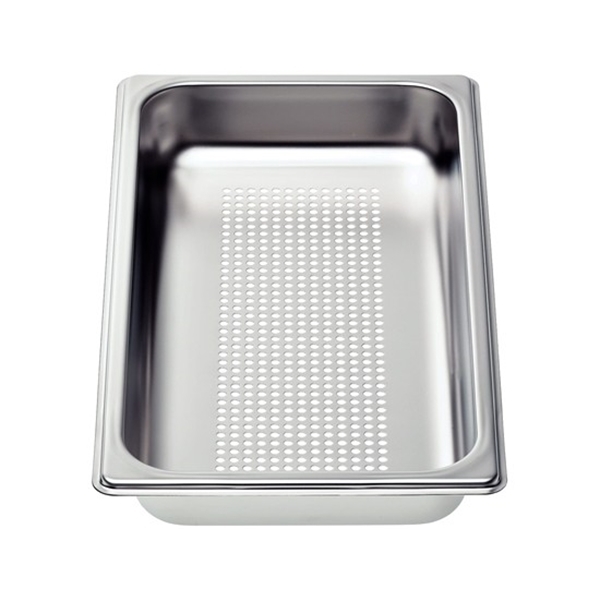 Perforated cooking pan-half size for steam convection ovens. Ideal for cooking vegetables -this perforated container allows for free steam circulation. Ideal for steaming fish or vegetables, extracting juice from berries, and much more.